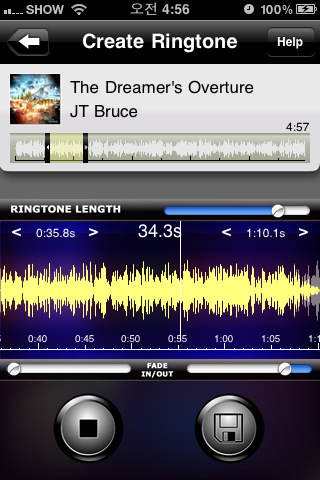 Make Custom Ringtones for iPhone! Make ringtones up to 40 seconds. Intuitive interface with real audio data. Set start time and end time easily & precisely. scrubbing like interface for precise time settings. Make ringtone files directly from your iPod Library. Easy file transfer using iTunes File Sharing & E-mail. This app requires iPhone 3GS or iPhone4. DRM protected files are not supported.